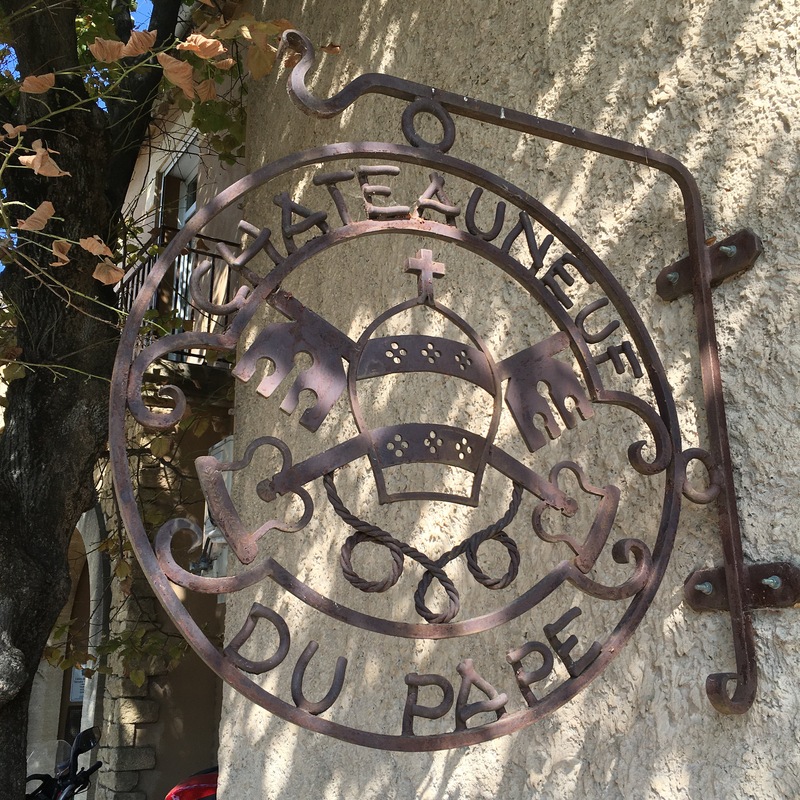 Chateauneuf-de-Pape, aka CDP, is not just an AOC, but a quaint hillside town ridiculously overrun with amazing wine! 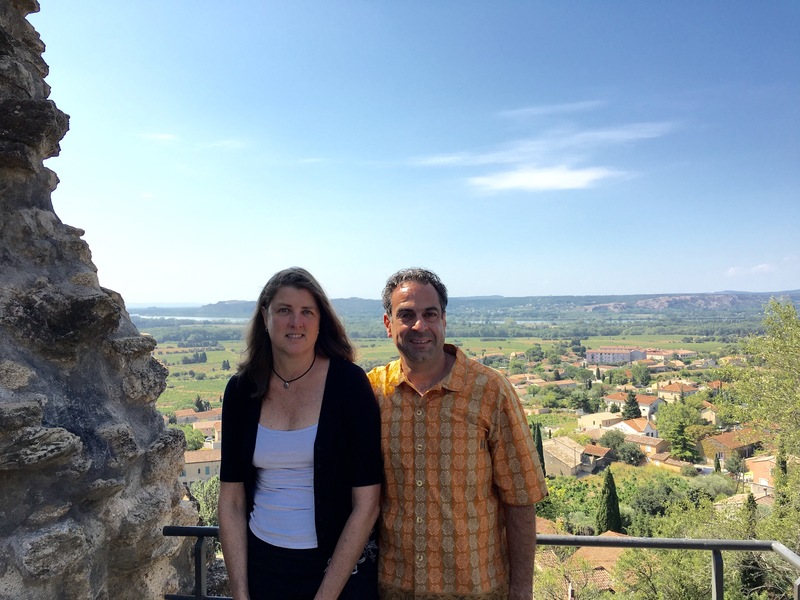 We headed out from Aix with our guide Michael sharing wine trivia and experiences + learning a lot from him about wine in France and the CDP AOC/Cotes-du-Rhone region, specifically. 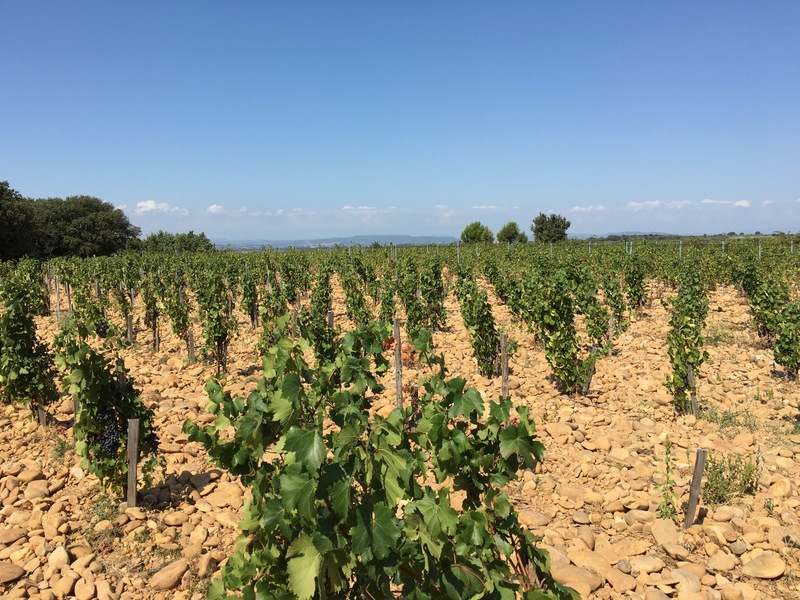 We were headed into the heart of the souther Rhone valley where Grenache reins supreme and its not unusual for wineries to span hundreds of years passed down thru a single family. First stop, Domaine de Beaurenard (http://www.beaurenard.fr/indexgb.htm), translated to the beautiful fox. We tried both white and red CDP. The 2006 vintage was showing its age – in a good way! – but the younger wines clearly still need some time in the bottle. Winemaker Paul Coulon et fils. 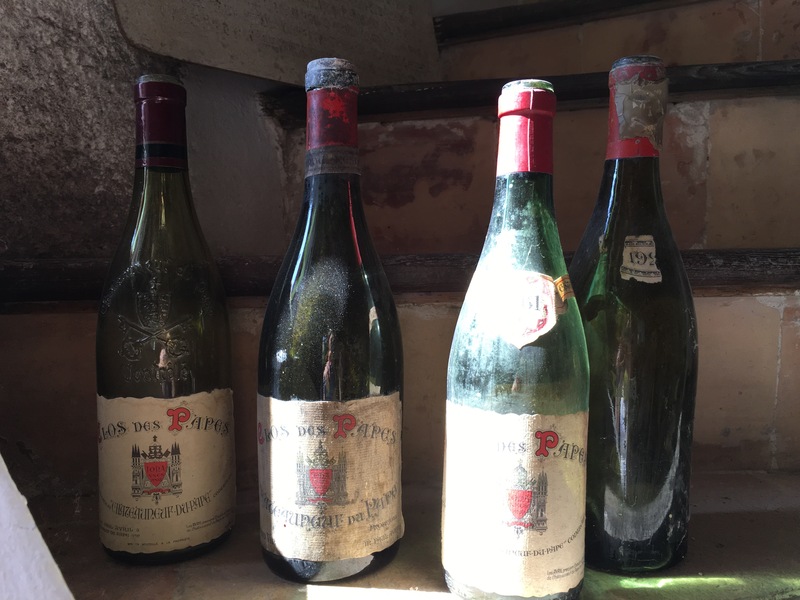 Next up, Clos de Papes – a personal favorite of Michaels and definitely a low-key affair. 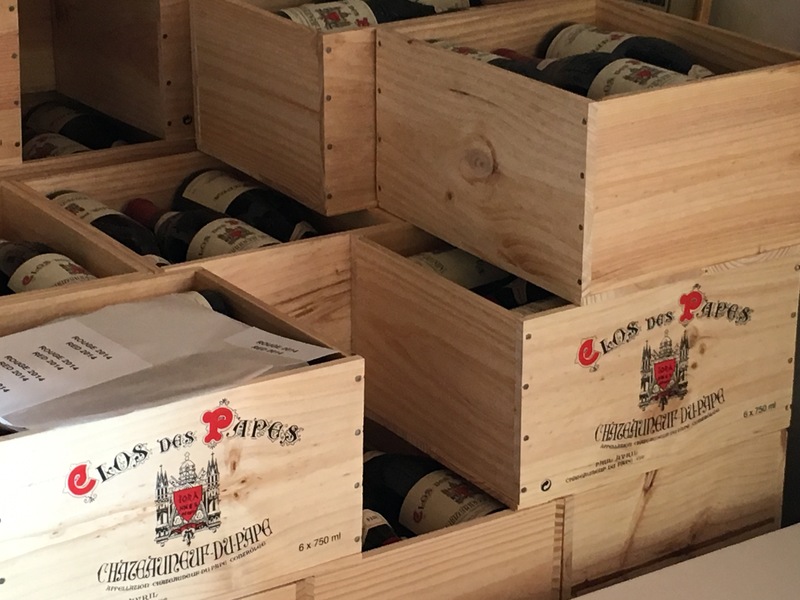 http://www.clos-des-papes.fr/ We tried both a new and old white CDP + reds from 2013, 2011, 2009 and 2006. The last was only by lucky chance that the winemaker himself had been in the day or so before and pulled to cork on that fantastic vintage! Lucky us! The prices were significantly higher – mostly in line or slightly about high-end OR Pinots, so we opted for a bottle of their 10 euro table wine and look forward to having that while relaxing in Marseille. We drove up to the remains of the chateau of Chateauneuf itself – built as another home of the Pope, which was dismantled by the same peasant workforce who built it after it fell to disuse. We had a chance to see the rocky soil and gnarled old vines up close, as well as taste a grape or two that will be ready for vendange in @ 2 weeks. 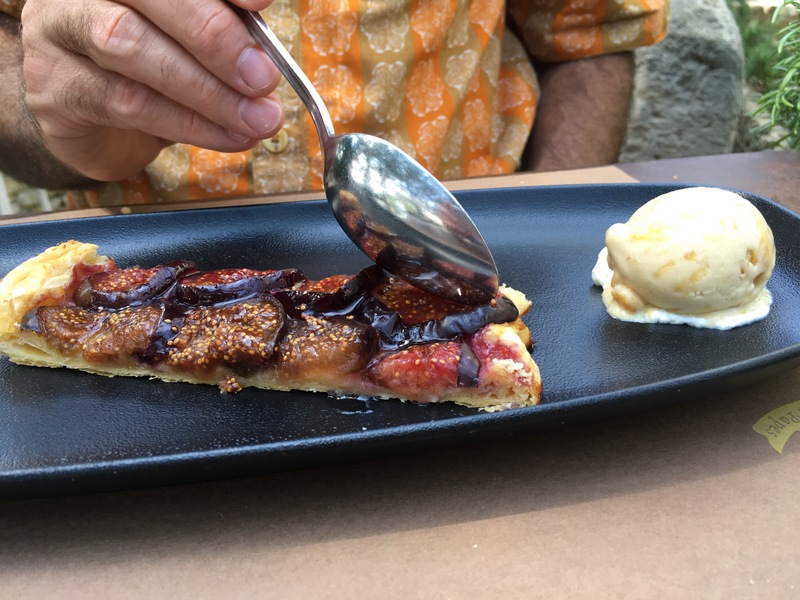 Just down from the ruins, lunch included a delicious rose from Bandol, duck, bull, and a lovely fig tarte at Le Verger des Papes. We also visited the cave at Le Verger and tasted wines from a mix of local makers + saw some of the old roman ruins now used as storage. Last stop of the day and by far the best, Domanie Serguier. 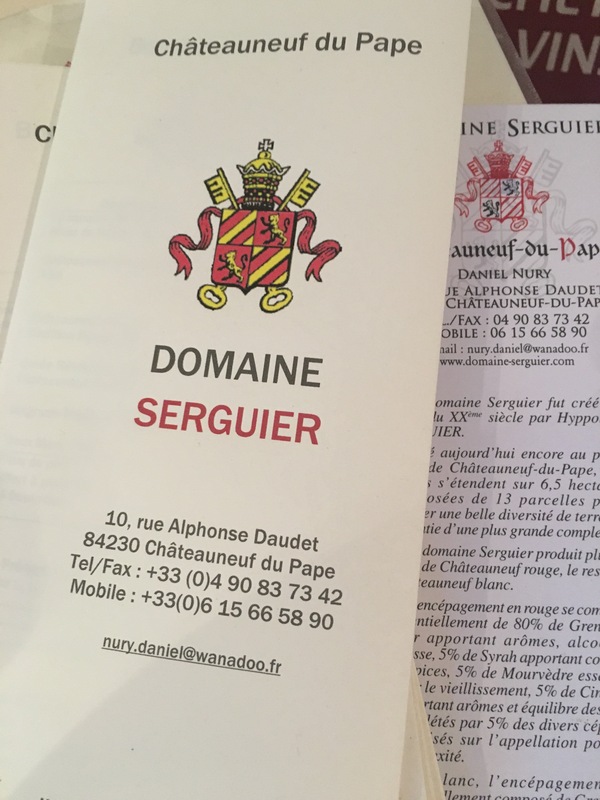 http://www.domaine-serguier.com/domaine.htm The wine was delightful and the winemaker incredibly accommodating and informative. We tried whites and reds of both Cotes-du-Rhone and CDP – and then we tried 4 right out of the barrel. Interesting in that she was using different sized barrels to different effect. Elected a white CDP to take with us and started on our way to Marseille. Beautiful day to be in the Rhone Valley!! Previous Previous post: Best laid plans..